Here's a new video featuring Simon Whistler of the popular YouTube channel TopTenz describing my approach to visualizing ten dimensions. Thanks for your support, Simon! With over 850,000 subscribers to TopTenz, I suspect there are a number of people reading this blog entry who are not previously familiar with my Imagining the Tenth Dimension project. The videos I'm posting below are useful as a step by step introduction to how I am using the logic of the point-line-plane postulate (the accepted methodology for visualizing any number of spatial dimensions) to creatively explore what these dimensions could mean all the way up to ten. As I've noted from the beginning, I'm not a physicist and I'm not pretending to be one, but the interesting connections between this approach and string theory, cosmology, spirituality, ancient mysticism and much more are what have continued to make this project the subject of much discussion since I first launched it in 2006. Online sites for Discovery and Scientific American have, over the years, written articles praising this project, and author and research scientist David Jay Brown, who has written extensively about modern psychedelics research, called the book this project is based upon "one of the most brilliantly-conceived and mind-stretching books I have ever encountered". 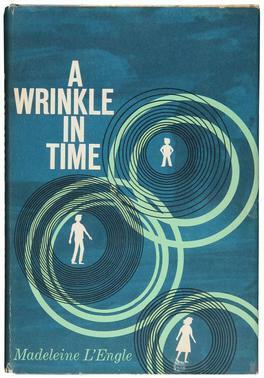 As a boy back in 1963, I was first introduced to the idea of spacetime as a structure that could be bent and folded through Madeleine L'Engle's marvelous novel A Wrinkle in Time, which I'm excited to see is soon to be a major film release from Disney. Within the last decade we've seen a number of films and TV shows that explore the ideas behind extra dimensions: I've particularly enjoyed seeing the rise of Rick and Morty, created by Dan Harmon and Justin Roiland, which plays with many of the same concepts I've explored, most importantly Everett's Many Worlds Interpretation of Quantum Mechanics, a key to my approach. 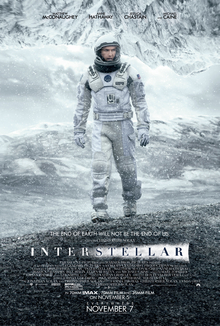 Interstellar, the amazing Christopher Nolan movie, has a unique pedigree in the world of science fiction: Kip Thorne, winner of the 2017 Nobel Prize in Physics, acted as an executive producer and scientific advisor on that film. I've written in this blog about the connections between that film and my portrayal of the fifth dimension as being our Probability Space: it's great to see one of the world's most respected physicists advancing ideas I've been pushing for over a decade! It is as if the brain reacts to a stimulus by building then razing a tower of multi-dimensional blocks, starting with rods (1D), then planks (2D), then cubes (3D), and then more complex geometries with 4D, 5D, etc. The progression of activity through the brain resembles a multi-dimensional sandcastle that materializes out of the sand and then disintegrates. Is our observed reality constructed from extra dimensional patterns? And is Elon Musk correct when he says there's a billion to one chance that we are all not in a computer simulation right now? I don't pretend to have all the answers, but I've been having a wonderful time exploring ideas such as these, and am particularly grateful for the continuing support of my youtube channel (currently approaching 18 million views! ), where I have daily conversations with people in the comments sections to the over 400 videos I've posted there. If you are new to this project I hope you appreciate the passion and sense of wonder I feel for my little hobby project dedicated to the ten spatial dimensions from which the amazing universe we find ourselves within is derived. Enjoy the journey! Jeff: Welcome back to the program, my name is Jeff Richards and this is Paranormal. We've been having a "spirited" discussion, I'll say with Rob Bryanton. 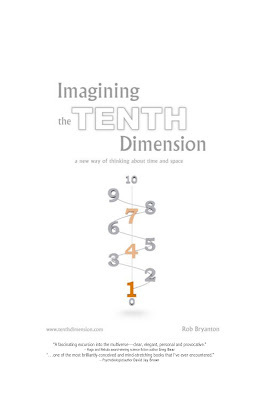 He has just barely scratched the surface of his brilliant book Imagining the Tenth Dimension - a New Way of Thinking About Time and Space, which is available at tenthdimension.com and also available directly for sale by you, yes Rob? Rob: Yes, you can go to tenthdimension.com and buy the book, but a lot of people buy it on Amazon as well. The only difference is if you order it from my website you get a free DVD of all the songs. Because we must remember I started all this as a composer who had written 26 songs about the nature of reality. Jeff: And they're brilliantly hidden, I don't want to say they're hidden, but they're at the back of the book. Rob: They're at the back of the book but they are connected with little index numbers so the songs are about different ideas found in the book. So that was the second impetus for the creation of this book, which was I went to Australia and on the way back developed blood clots in my legs which went up into my lungs, and I ended up in the Cardiac Surveillance Ward when my poor oxygen-deprived heart went into arrhythmia. I spent two weeks in the Cardiac Surveillance Ward thinking I was about to kick the bucket, and so I wrote this book in those two weeks. Rob: Well, it was because I had always intended to do it. I mean, the 26 songs were already written, right? I knew what the book was going to be, so it was just finally taking the time to put it down. Jeff: Now Rob, before the break I called you an "architect of reality", because you're bringing some very interesting technologies, and many people have seen them already I'm sure in play right here in Saskatchewan. A lot of the technology that your studio, Talking Dog Studios, has put into place can be seen at various places - for instance, here in the city of Regina, the RCMP Heritage Centre museum has a brilliant installation that your group was part of putting together, where you're on the Musical Ride but you're in reality, you're in this virtual reality environment which is just spectacular. Rob: Exactly, yeah, and the fun thing about the virtual reality then, is it can be "recorded reality" like that, or it can be a completely synthetic reality as well, and that's where you can get into doing some really crazy stuff. So at Talking Dog Studios right now, we're actually building a virtual reality arcade (officially opened October 14th 2016, The Grid VR Arcade), which is going to be fun for people to come in and have these kinds of virtual reality experiences that I can't believe are already in existence. Jeff: And I'll say I've seen it, I've been there. I saw a little video of this thing called Tilt Brush on Facebook, and I thought "wow, that looks amazing". So I was in Talking Dog Studios doing the voiceover work for The Other Side, third season, and Rob says "hey, you're gotta check this out". He puts this VR headset on me and I'm using that program, I'm at an arcade. At one point I'm playing this zombie game, and there's zombies coming at me from every angle, and then I go from that to being a worker in a convenience store (laughs). For me it was ridiculously cool to be able to move into all those different realities while still within this reality. It's almost like we're moving into all these different dimensions by putting this little plastic piece of technology on our heads and going there. And your company, Talking Dog Studios, is really pushing that, pushing the boundaries of that on a provincial level, which is so spectacular. Rob: Yeah, and the idea of even, you know, with the RCMP there's national connections there already. We have done stuff in the past for the Mayo Clinic, and for Legendary Pictures... a lot of people know a thing we created for the launch of the Godzilla movie that came out a couple of years ago. A few years before that at ComicCon there was an Augmented Reality thing we created where you had the artist's conception of what the new Godzilla was going to look like on your chest (*on free t-shirts being handed out at the Legendary booth, I should have mentioned), and you walked up (*to the big screen TV at their booth) and the smoke and flame shot out of his mouth... of course, that's "atomic breath" if you're a Fanboy. Jeff: Yeah. So these new realities that are being created, what do you think of that? Do you feel that as a society, as a populace, that we run the risk of becoming entrenched in these alternate realities as opposed to our own real physical reality as it exists here, talking to you right now? 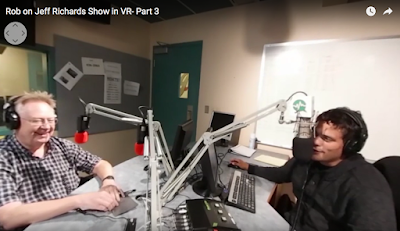 Rob: I'm really starting to agree with people like Elon Musk who are saying "how do you know you're not in some kind of a virtual reality right now?". You know, the idea that we could already be a game that somebody else created. If you're talking about reality coming from this background that has always been and always will be, then isn't that what you're doing? When you're moving through the reality right now you're moving through a set of probabilistic outcomes. So why shouldn't you be able to then cause those probabilistic outcomes to be observed in other ways? With other outcomes? You know, being able to go back and see what happened that time the drunk came over the hill, you managed to veer out of the way, but there's all those other versions that you could go back and see - if you had that ability. Jeff: Musk says there's a one in billions chance we're in base reality right now. Rob: But it don't think it's really about reality creation. It's more like a viewing scope that is being moved around through the probability space that always has existed. That's the thing: the distinction between past present and future is only a stubbornly persistent illusion, and that's what Einstein told us. And that's what you have to understand: time is not the fourth dimension. It's that whole thing from beginning to end, stretching to infinity in both ways and wrapping around the circle. Jeff: So now. As exploration continues into things like string theory, things like multi-dimensional theory, what's the next step for you? As a - I'm going to call you a researcher. because that's really what you're doing with a lot of this. You said at the beginning that you're not a scientist, but you're certainly a researcher, and you've got a research paper you put together right here in this book. What's the next step for you Rob? Rob: Well, the core essential truth of the tenth dimension is that it's really just a filing system. It's a really good way from going from that "everything" down to the very specific, that is the point that we're all experiencing right now as we hurtle through spacetime, you know? So being able to find those connections is what this project is all about. Jeff: Will we find dimensions beyond ten? Rob: Here's what I think. You've got that background, that Ultimate Ensemble that's back there. Now, if I look at it through a prism of five dimensions I'm going to see it one way. If I look at it through a prism of twelve dimensions I'm gonna see it another way. I'm not saying ten dimensions is the only way to analyze our reality. You know? But if you're thinking about spatial dimensions, ten is a really good, convenient place to stop. Not because we've got ten fingers, but just because the logic happens to work out to the point that by the time you get to the tenth dimension as we're imagining it with this system, we're back out to that Ultimate Ensemble, that background, that Godelian "outside the system" that is impossible for us to do anything to, or react with, because it's not part of what we're in. Jeff: Rob Bryanton, the author of Imagining the Tenth Dimension is sitting across from me live in-studio in this dimension right now. We're actually recording this interview in 360 degree virtual reality which you're going to be able to see posted later in various channels. Rob, it's been a pleasure. As we leave you now, what's something you want to leave our listeners with? When thinking about the ten dimensions, and just reality in general, what should people really hold as a core concept? Quickly now, in 30 seconds. Rob: Sure! We start with a point. You are the point. What is your trajectory right now, and is there something about your trajectory you want to change? The fifth dimension tells us that it's there, you can get to it from here, you just have to figure out how. Jeff: Brilliant stuff. 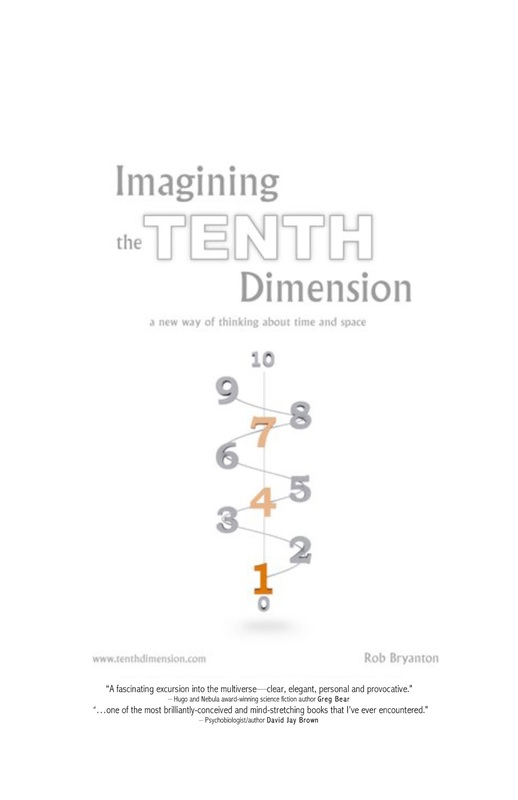 Rob Bryanton - Imagining the Tenth Dimension. His book can be found at tenthdimension.com and the link for that will be posted on our facebook page very very shortly. Rob, it's been a pleasure. Rob: Thank you very much, I'm a big fan of the show, it's such an honour to be here with you. In Part Two we get into a metaphysical discussion of ghosts and spirits, and the implications of Everett's Many Worlds Interpretation within the concepts of consciousness and meeting other versions of yourself when you die. We then discuss Dawkins' "River Out of Eden" as evidence of how patterns exist outside of our physical bodies in the same way that my project proposes that consciousness can exist outside/before/after the body that it inhabits. Graham Hancock's Supernatural and David Jay Brown's The New Science of Psychedelics also come up in the discussion of there being evidence of there being more to our reality than the 4D space-time we see around us. If you're on a mobile device and this movie is not displaying properly for you, please try opening the above link in your YouTube app. If you have a headset such as Google Cardboard, you can put this movie into Cardboard display mode and feel like you're actually in the room with us! This is Part One of an hour long interview that covers a wide range of topics, seems like a great way to help celebrate the tenth anniversary of Imagining the Tenth Dimension! In Part One, we talk about how each of us can be thought of as a spime, or a space-time object, but that we can see ourselves also as a probabilistic cloud. We discuss how physicist Kip Thorne as the scientific advisor on Christopher Nolan's Interstellar, has told us that our reality comes from the fifth dimension, and Einstein accepted the idea of our reality being resolved at the fifth dimension when it was proposed to him way back in 1921! We also discuss Tegmark's Ultimate Ensemble concept, the amazing processes that create our universe or any other from that background sea of information, and the intuitive ideas that began this project for me back at the age of seven. It was ten years ago that the internet discovered the tenthdimension.com website. We had initially started showing the website to friends and associates at the end of June 2006. Initial response was generally very favorable, and we congratulated ourselves on a site that looked like it was going to do all right for itself. But we really had no idea what was about to happen! On July 2 2006, the site got 2346 hits from 160 unique visitors, not too shabby. Then, some time later in the day on July 3rd, people started sharing the site with each other in a much bigger way, and we were thrilled to see a twelve-fold jump - 30,116 hits from 2,196 unique visitors. Cool! But by the end of the day, we were starting to learn about something known as the digg effect. So many people were trying to access our website simultaneously that some visitors were getting error messages, while others were having to wait minutes for the pages to load. Even with those delays, July 4th 2006 was an amazing day - 451,954 hits from 25,075 unique visitors. With the support of users on digg and also on stumbleupon, the site saw over five million hits that first month, and that was from almost 282,000 unique visitors. Unbelievable! Ten years for a project about ten dimensions certainly seems worthy of note. My YouTube channel, 10thdim is now approaching 16 million overall views for the 400 plus videos we've posted about the project. The original Imagining the Tenth Dimension video started out at the now defunct revver.com video sharing site, where it was at 2 million views when the site was discontinued. I've also seen a great many copies posted of that first video, many of them taken from an edited version created by tigger1972, on tigger's channel that version is approaching 500,000 views. At the time YouTube was limiting movies to just over 11 minutes, which is why the original movie was broken into two parts for my channel. As a fan of the project tigger wanted to get the movie on YouTube in one piece, so he removed my intro and extro screens and all pauses, managing to get the video from 11:51 down to 11:01. Then other people posted copies of that version: master roshi's copy is over 900,000 views, Giovanni B's is over 600,000, the Break.com copy is at almost 500,000 views, Andrew Philip's is over 60,000. None of these people include my name or give me credit as the creator of the video, but at least they leave it ambiguous as to who created it... unlike izacboi who brazenly says in his description "this is a short vid i made to help people understand the tenth dimension". So. Is Imagining the Tenth Dimension a crackpot theory from a non-physicist with no formal background in the relevant sciences? Absolutely. I am making no claims at all about the viability of this theory’s mathematics, as I do not have the tools to even begin such an analysis. The suppositions we are exploring here are based purely upon intuition, combined with a layman’s understanding of the concepts of quantum mechanics and cosmology. The fault for any misrepresentations of string theory or the laws of physics that may occur within these pages rests squarely on my shoulders, and not with any of the other sources cited throughout this text. As a creative person, originally a film/TV composer and now a virtual reality producer, I have enjoyed all of the wonderful positive feedback I have received from the many fans of this project. I've often mentioned Madeleine L'Engle's A Wrinkle in Time as having similarities - for my generation, that was the book that introduced young minds to mind-expanding new ways of visualizing space-time as a structure that can be bent and folded. Did Madeleine get all of the science right? No... and if someone were to be upset about that then they've misinterpreted the intentions of her book. But as a way to get people started thinking about how there is more to our reality than what we are observing before us, I believe both A Wrinkle in Time and Imagining the Tenth Dimension have served the same purpose, and I'm proud to think of the millions of people who have become more interested in these topics after learning about my "new way of thinking about time and space". What's next? Hey, who wants to watch Imagining the Tenth Dimension in Virtual Reality? I sure do! One of the recurring ideas from this project is how important constructive interference can be in helping to understand how something as complex as a universe could be derived from extra-dimensional patterns of information. How does a hologram work its magic? Through constructive interference. In entries like The Holographic Universe we've looked at the theory that our observed reality is derived from a holographic projection - an interference pattern projected from the fifth dimension. One of the commonly known versions of this constructive interference effect is known as "Moiré" patterns: one pattern interacts with another, and a third pattern springs forth. So here's an interesting development - my company, Talking Dog Studios, has just released a new app for iOS devices that allows you to play with constructive interference in creative ways. It's called Moire. Moire (pronounced "more-ay") is a visual toy that allows users to interact with this mesmerizing visual effect. The app lets users explore a variety of moiré patterns, with fascinating shapes they can zoom in and out or rotate using their fingers, or modify by tilting their device and seeing these patterns displayed in 3D space. In some cases the app also responds to sound, adding subtle pulsing to parts of the visuals when music is played. Plus, each time you double tap on the screen you are taken to a new combination of patterns. And here's a page on the Talking Dog Studios website about our new app: Moire.